As I mentioned in a post last month, I am currently working on an authored book about sport heritage. The manuscript is due to the publisher in Fall 2018, so I have been busy developing chapter outlines and drafts. The book will broadly have four sections based on the sport heritage typology (tangible immovable sport heritage, tangible movable sport heritage, intangible sport heritage, and sport heritage goods and services) which was first developed by Sean Gammon and I in 2005 and later revisited in 2016. In addition, there will be full introductory and concluding chapters in large part based on the ideas of “heritage of sport/sport as heritage.” In any event, it is hoped that I will have a skeleton draft of the book (40-50k words) by August. One of the aspects of the book which will be completed this summer are additional illustrations and examples of sport heritage, both in terms of type and geography. I will be undertaking a couple of trips to the UK and to other parts of the USA later this year to get some additional topical examples (including sport heritage landscapes, sport heritage institutions, and dissonant or subaltern sport heritages, among others). I have also asked students and colleagues from other parts of the world to send me additional representations of sport heritage in order to make the book, as best as possible, applicable to as many regions as possible. Of course, I would welcome readers of this blog to also submit representations of sport heritage from your part of the world! I have also noticed since I started writing the book just how many more forms and types of sport heritage I see. While perhaps before I might mentality note these examples for teaching or a manuscript, I find now that I document them much more than I did before. 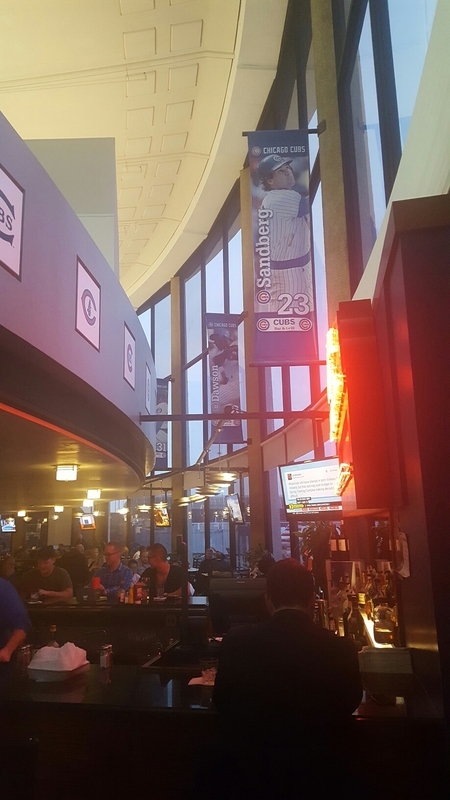 For example, while passing through Chicago’s OHare International Airport last month, I noticed just how much of this Cubs theme restaurant is decorated by symbols of heritage. Even the souvenir stand outside of the restaurant was shaped like Wrigley Field! Heritage is a commodity, we know, and sport heritage seems to be a particularly powerful (and lucrative) one. Theme restaurants are an interesting case of both a sport heritage good and service, as well as having quasi museum-like qualities as well. By Gregory Ramshaw in Uncategorized on February 24, 2017 .